Last week, I summarized what I thought were the relevant points from Mary Meeker’s 2015 analysis of Internet Trends, which also made me want to go back and see how prescient her 2014 analysis turned out to be. With any analyst, it is important to realize nobody can predict the future. If they could, they would be billionaires as they would themselves only invest in the next Apples and Facebooks, not the next Netscapes and MySpaces. Internet usage is growing fastest in markets that are difficult to monetize. India remains a key focus for Meeker in her 2015 analysis but she is now most interested in China and India, rather than other emerging markets (Nigeria and Indonesia) while companies have shown an ability to monetize China (sometimes dwarfing their western competitors). Smartphone growth is following the same pattern as Internet growth. That growth has continued. Tablets are seeing great growth. I would say this was Meeker’s biggest miss, as she missed the growth of “phablets,” which both Apple and Samsung saw. Mobile becomes an increasingly dominant form of web usage. Meeker was completely on target. US operating systems dominate mobile phones worldwide. I would put this one as a maybe. They do right now but Xiaomi and other very formidable Chinese competitors are redefining mobile operating systems (though still based on Android, for the time being). Mobile ad spend still has tremendous upside. This continues to be a theme for Meeker and I agree with her underlying logic. App revenue is still the strongest mobile revenue source. Although not a theme this year, it continues to be true. Cyber threats are intensifying. True, as the hack of the US government last week showed. Tech venture financing is still depressed. I have not seen the latest data but seems to be rebounding with some companies getting great valuations. Education may be at an inflection point. We have not seen the inflection point yet but the fundamentals remain that this industry will change dramatically. Healthcare is another sector that may be at an inflection point. Like education, we have not yet seen the big changes here but it seems inevitable. Messaging is an exciting space. If anything, this has become a more exciting space with bigger opportunities. Image and video sharing rising quickly. Continues to grow, though video seems to have eclipsed photo sharing. The dominance of apps is resulting in unbundling of the Internet. Not a theme in 2015, this trend largely continues. Apps are re-imagining activities and businesses. Not as many apps have disrupted traditional businesses in the past 12 months but probably because the low hanging fruit was already disrupted. Biggest re-imagining will be people with mobile devices and sensors uploading troves of findable and shareable data. I would classify this as a miss by Meeker, as this trend has not had a huge impact. Sensor use rising rapidly. Again, this has not continued into 2015 and Meeker does not focus on it in her 2015 report. Computing costs dropping dramatically. Probably a trend since 1985, enough said. Compelling user interfaces are part of why many business are being re-imagined. Although I agree with her analysis, it was not a key part of the 2015 landscape. Data mining and analytic tools that mine and organize data are growing rapidly. She does not discuss this in 2015 but possibly because it has become such an integral part of the business ecosystem it is no longer worth mentioning as a trend. Apps are replacing television channels. Still happening but television has been incredibly resilient, though with Showtime following HBO this should continue as a long-term trend. Social television boosts the impact of ads. We really have not seen this phenomenon at all. When looking back at her analysis from 2014, I was personally surprised about how accurate her predictions were. While some are still playing out, her analysis proves very valuable in understanding how technology is evolving (and it is a heck of a lot better than my predictions). As always, super-analyst come venture capitalist Mary Meeker just published her Internet Trends for 2015, and, as always, I wanted to summarize the trends most relevant for those in the game and gaming industries (and for those who prefer Meeker’s actual analysis, her presentation is embedded at the bottom of this post). I always find her analysis very interesting but you need to take anyone’s predictions with a grain of salt. After all, they are predictions of the future and very few are good at predicting the future (hence why I don’t try). Most analysts who try show why they are analysts and not trillionaires. Next week, I will look at Meeker’s 2014 predictions and see how they performed. Regardless, it is interesting to see what a leading thinker in the space sees as the major trends we are experiencing. Slide 6: Of the top 15 Internet companies in 1995, only Apple is still on the list. Thus, the companies we consider critical partners today may not be relevant in the future while new companies are likely to dominate. Slide 14: Internet is becoming an increasingly large elements of peoples’ lives, with people now spending 5.6 hours/day on it (and 51% of that time from mobile devices). Slide 16: Advertisers are still spending much more on print advertising versus mobile given the relative share of media consumption. Given that markets eventually find equilibrium, this figure suggests advertising revenue opportunities on mobile should grow sharply and there may be an opportunity for new mobile ad delivery mechanics. Slides 23 and 24 show the importance of vertical (portrait) viewing (mobile phone format versus traditional television),having grown to 29 percent from 5 percent. This figure shows the importance of optimizing for both formats. Slide 47: Six of the top-10 most used apps are messaging apps. Shows the importance of messaging to the gaming space. Slide 52: Many people use different messaging apps for different purposes, not a winner takes it all market. Slide 53: Mobile messaging apps may evolve into central communications hubs. Slide 54: Notifications are evolving and are now allowing for direct interaction and are more up close and personal. CRM strategies must evolve to leverage this increasingly important interaction channel. Slide 88: One of the less positive slides, points to the growth and severity of Cyber Attacks. This slides shows how security will be important to all firms. Slide 151: The size of the Chinese market is beyond what most people think. In one day, 1 billion “red envelopes” were sent on WeChat. Slide 158: By taking less of a share than their US competitors, Taobao (versus eBay) and Meituan (versus Groupon) grew to more than twice the size than their competitors. This suggests that lowering the take rate can increase growth and profits. Slide 165: India seems to be at an inflection point suggesting it may be the next China. It is already the third largest Internet market, with 232 million Internet users (and adding 63 million annually). 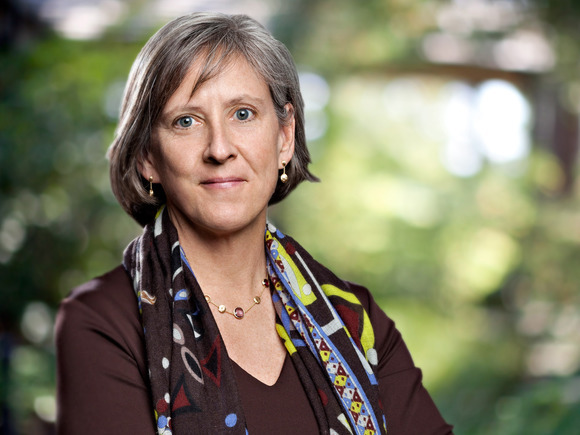 Below is Mary Meeker’s presentation at Stanford on Internet Trends. If you are not familiar with Meeker, she is a partner at A-list VC firm Kleiner Perkins and previously was one of the top Wall Street analysts for the tech sector. At Morgan Stanley, she co-authored the “bible of the Internet,” which was the roadmap for the dot-com boom. She has since published landmark reports on online advertising, e-commerce, search, the Internet in China and the mobile Internet. She is probably one of the best resources for understanding how technology will evolve.